The World Federation of Neurology (WFN) has designated July 22 as annual World Brain Day on which the WFN’s 119 national member groups will coordinate to raise awareness of brain health. For 2016, the campaign is focusing especially on “Brain Health and the Aging Population: The Aging Brain,” and the need for more investment to expand prevention programs and improve healthcare infrastructure — instead of regarding the aging population as just a burden. This World Brain Day, WFN President Raad Shakir warns that incidence of neurological disorders, such as those associated with stroke and dementia, is projected to increase at a rate that could overwhelm healthcare systems, and that the public is not aware that healthcare policies do not address the issue sufficiently. “The aging population has major social, health, and economic consequences,” Shakir said in a press release. “Brain health will be among the most important determinants of social and economic well-being of older persons in the future.” He emphasized that the World Brain Day event will focus primarily on the management and prevention of various brain and neuromuscular diseases that primarily affect the elderly — and on ways to promote brain disease prevention. Prevalence among several neurological conditions increases with age, including the most common stroke, dementia, and Parkinson’s disease. 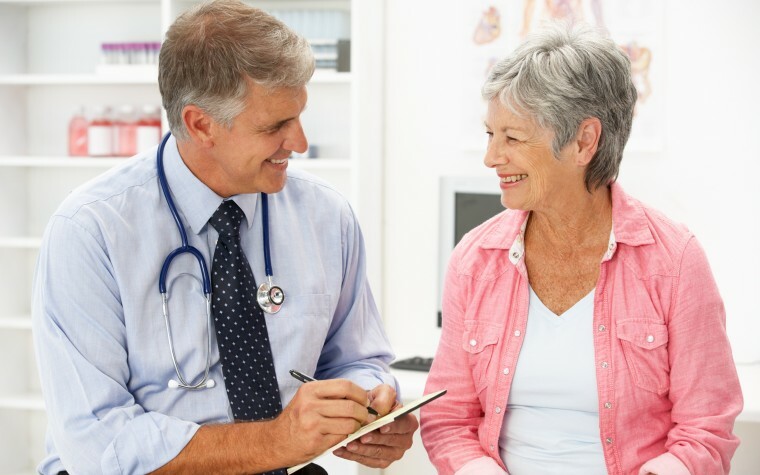 According to the WFN, 10-20% of people ages 60-80 struggle with at least one of the disorders; nearly one in three people age 80 and older are impacted. Considering that half of the world’s healthcare expenditures already go toward the care of older people, and that the population of older people is expected to increase 21% by 2050, WPN urges action now. “It is time to act,” said Mohammad Wasay, professor of neurology at Aga Khan University in Karachi, and chairman of the WFN Public Awareness Committee. He noted that brain diseases are the most frequent cause of disability worldwide, and maintains the disease burden could be avoided if more effort and resources were put toward prevention. While age and genetics pose great risks for stroke and dementia, managing hypertension (high blood pressure) and high blood sugar levels through diet and exercise can cut chances for brain disorders like Alzheimer’s disease by three times. “A balanced diet with a lot of leafy vegetables, fruits and fish keeps cholesterol values low, thereby helping to minimize risks. Giving up nicotine is sensible in any event — even though the specific influence of smoking on the development of dementia has not yet been totally clarified,” Waysay said. Additional to healthy eating and getting sufficient exercise, ‘brain fitness’ is also important. WFN cited a study published in the New England Journal of Medicine that dementia risk is 74% lower for people who play board games; 35% lower for avid readers; 69% less for those who play musical instruments; and 41% less for crossword puzzle enthusiasts. “Remain mentally active by staying curious and involved and by committing to lifelong learning: Read, write, work puzzles, attend plays or lectures, play games, garden, or pursue memory exercises. Remain socially active, engage in social and leisure activities by volunteering, traveling, or joining social clubs,” Wasay said. All of the above and regular physical checkups to monitor vascular and other risk factors keep the window of opportunity for prevention open. WFN Secretary General Professor Wolfgang Griswold of the Kaiser Franz Josef Spital Neurologie Abteilung in Vienna, Austria, said the world will eventually face the consequence of aging populations, so it needs to expand neurological healthcare now. He is calling for healthcare policy makers worldwide to make investments toward rehabilitation programs and long-term care. WFN is also advocating for sensible, equitable distribution of global resources. “Although we have made great strides forward in the diagnosis and therapy of neurological diseases, appalling inequalities exist in the availability of treatment possibilities. Many people across the globe either have no access or insufficient access to neurological care. In wealthy countries, there are an average of three neurologists per 100,000 inhabitants whereas in low-income countries the figure is just 0.03,” Griswold said. 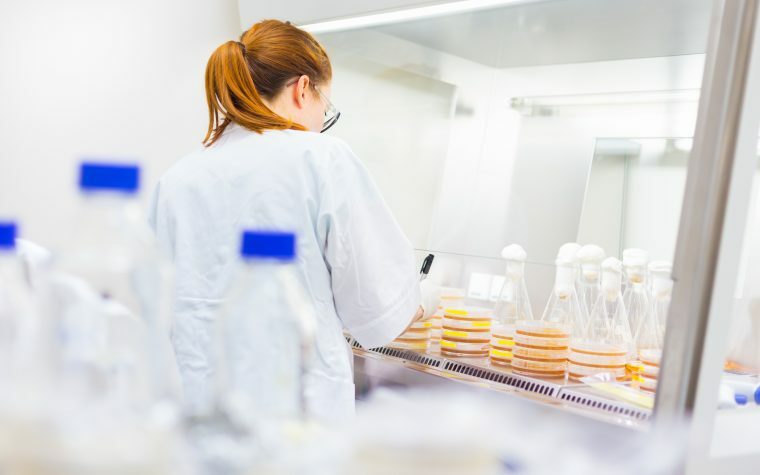 Health Ministers of G8 nations who met in 2015 at the G8 Dementia Summit in London, declared a mutual desire to cure or find a disease modifying drug for dementia by 2025, and pledged to raise funds to see the goal accomplished. But the European Academy of Neurology reported 47 million dementia patients needing care in 2015, projected 75 million patients by 2030, and estimated a staggering rise to 131 million patients by 2050. Additionally, a study conducted in Great Britain, Sweden, Spain, and the United States estimated that one dementia patient still capable of mastering everyday life independently still costs society roughly 14,500 euros a year. Patients in institutional care cost about 72,500 euros annually. Shakir is calling for world politicians and policy makers worldwide to “wakeup” to the fact that neurological diseases are not included adequately in healthy policy agendas at national or international levels. Video statements from Profs. 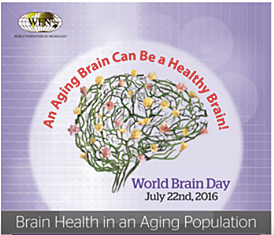 Raad Shakir, Mohammad Wasay, Wolfgang Grisold, and Gunhild Waldemar are available at https://www.wfneurology.org/world-brain-day-2016. Tagged Alzheimer's, dementia, EAN, European Academy of Neurology, The Ageing Brain, The World Federation of Neurology, WFN, World Brain Day.